As we all know, general office staff have to sit in an office chair in the office for above eight hours a day. But every day sitting for a long time would add stress to the structures in the spine. At this time, it’s important to have an ergonomic office chair that supports the lower back to Avoid increasing the pressure on the spine and other problems. 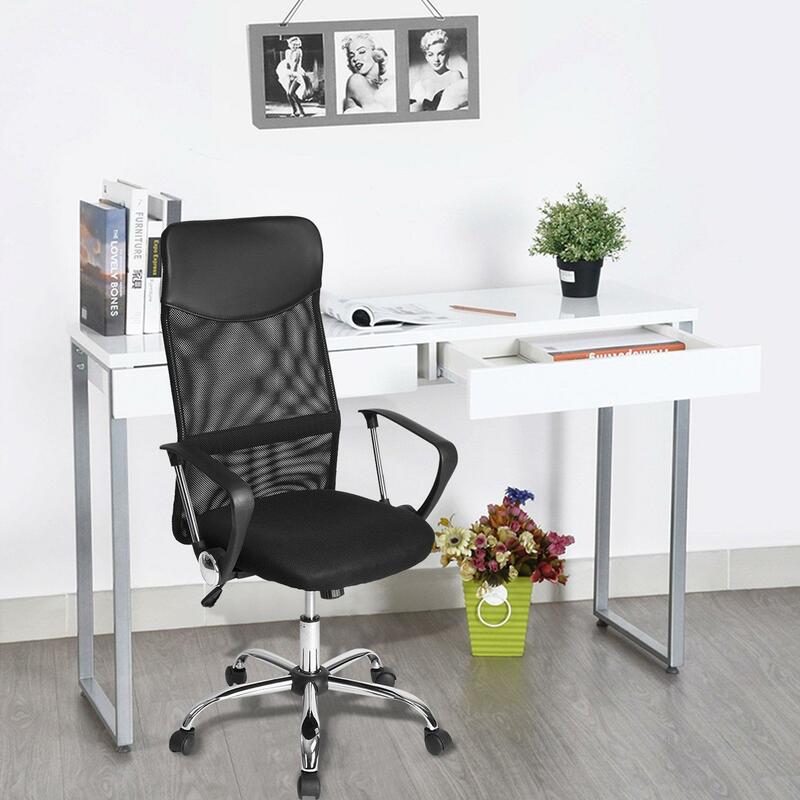 There are some things that are very important to look for a good ergonomic office chair. But which type is the best among of the types of ergonomic chairs which are available for use in the office? 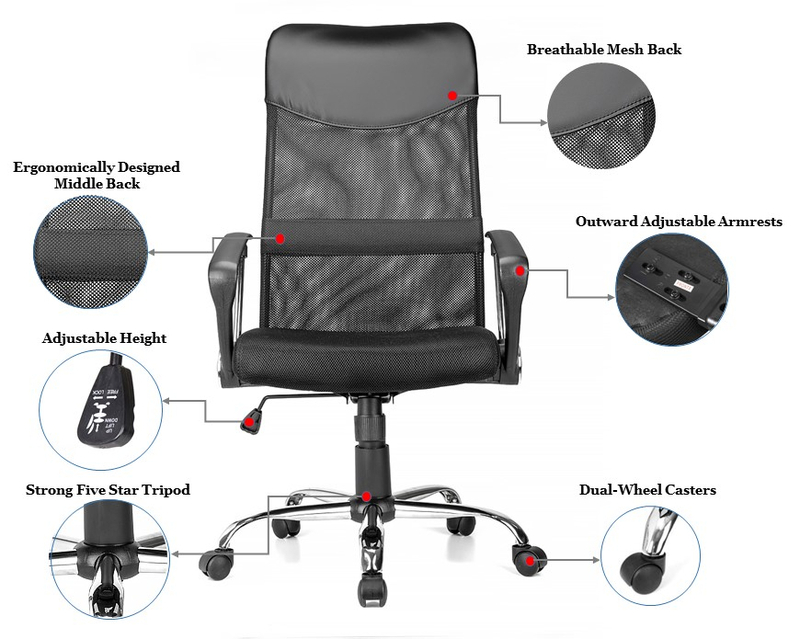 How to Choose Right Ergonomic Office Chair? A good ergonomic office chair should satisfy the conditions below. First of all, the seat height of ergonomic chair should be easy to adjustable, and the armrests should be also adjustable. The easiest way to do this is that use a pneumatic adjustment lever. For most people, the most annoying thing is that the office chair could not be adjusted the height. To keep one position on the whole day is quite a painful thing. So, an ergonomic office chair is very important at this time. Moustache® Ergonomic Adjustable Office Chair could help you salving this problem perfectly. You can adjust the seat height with the gas lift from 43cm to 53cm. This allows you to have your feet flat on the floor and arms even with the height of the desk. Also, they should allow your arms to rest comfortably and shoulders to be relaxed. The armrest of this Moustache® ergonomic chair can outward adjustable which make you arm fully relaxed. Second, The backrest of an office chair Should be ergonomic. And it should be able to support the natural curve of the spine. Moustache® Ergonomic High Back Office Chair combines a slender profile with the full-scale comfort with a supportive back. Third, the material on the office chair seat and back should be soft enough to be comfortable to sit on for extended periods of time. A cloth fabric that breathes is preferable to a harder surface. The seat material of Moustache® Ergonomic Office Mesh Chair has enough padding to be comfortable to sit on; this high-back task chair combines a slender profile with the full-scale comfort with a breathable mesh back. The breathable mesh back let you not to feel hot when you were sitting for a long time in summer. Fourth, An ergonomic chair should easily rotate so you can reach different areas of your desk without straining. No matter what type of ergonomic chair is used, short breaks should be taken throughout the day to reduce fatigue. 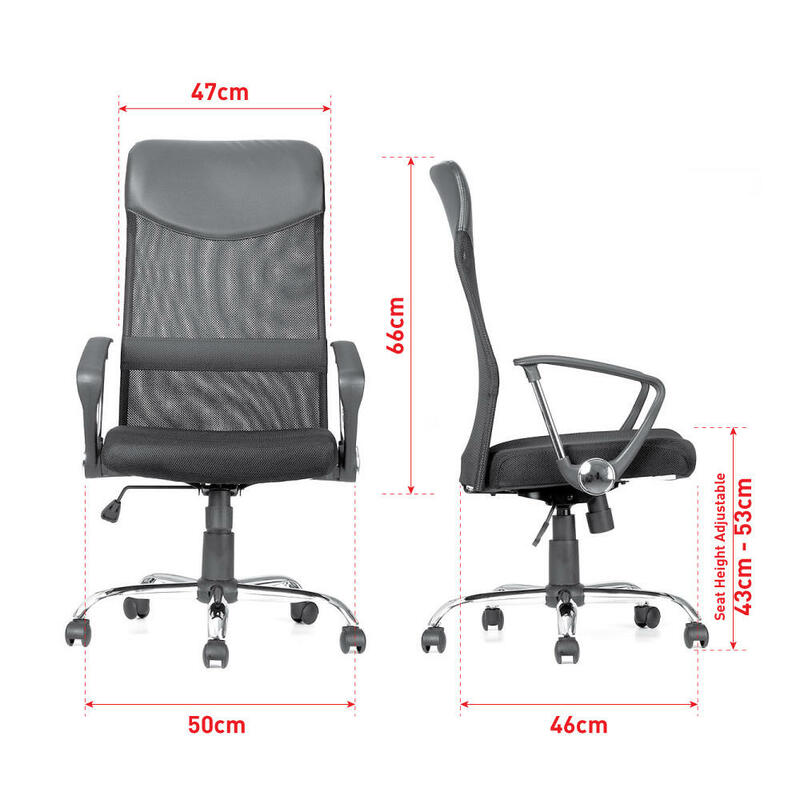 Now, it is believed that you can choose a suitable ergonomic office chair for yourselves. The Moustache® Ergonomic Adjustable High Back Office Mesh Chair mentioned above is clearance on 123ink.ca, you can click to browse details. Thanks for the recommendations you have discussed here.